Even those with only a few sentences will want to try them out sometimes. This one is especially for them. We offer it in Irish Green, for Lá 'le Pádraig (St. Patrick's Day) etc and also in Navy. 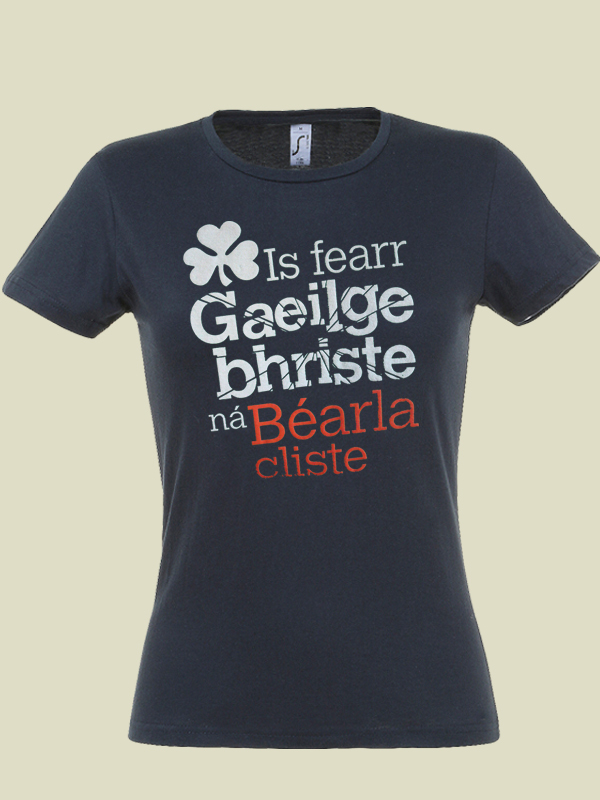 IS FEARR GAEILGE BHRISTE NÁ BÉARLA CLISTE. First of all, I must say that Gearóid at Spailpín was wonderful! I ordered a size large female style of this t shirt. It was way too small for me, smaller than my US-sized medium t-shirt. It would be better fitting my 13 year old niece! 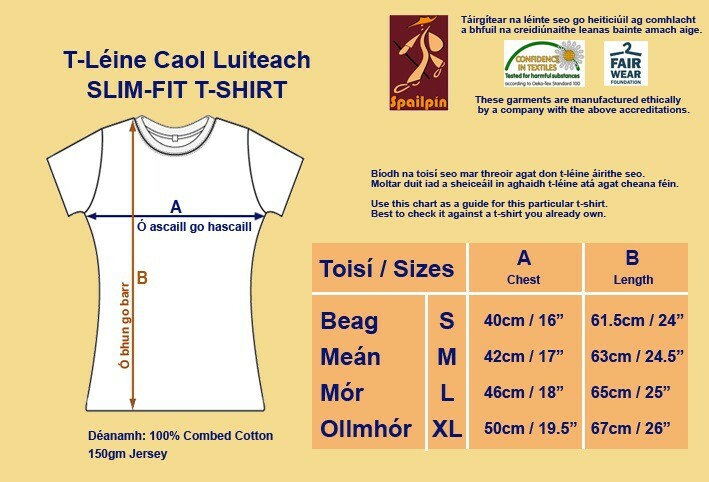 Gearóid was prompt to respond and I was sent a large men's style t-shirt...very roomy and will allow for any shrinkage. I would give a 5 stars if women's style came in size XXL, maybe even XXXL. 5 + stars for customer satisfaction.